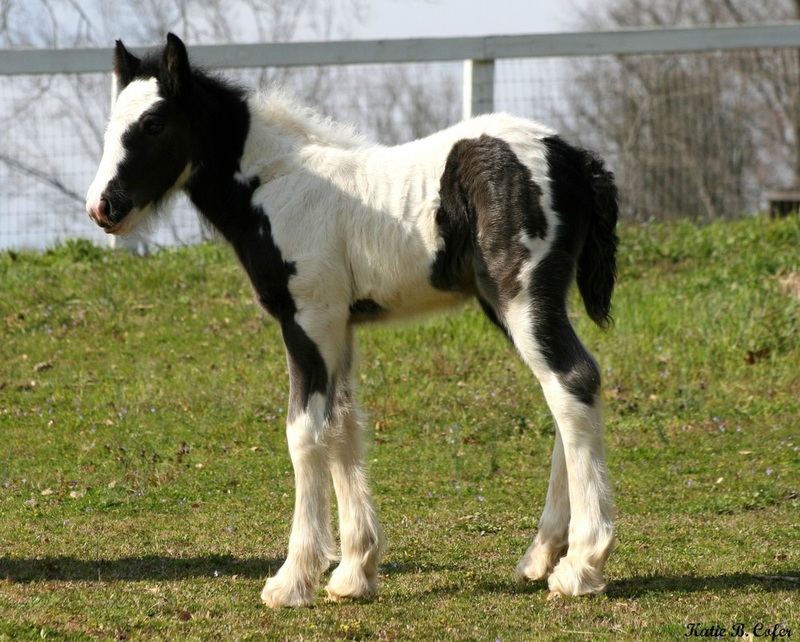 The first time I laid eyes on Friday he was a 2 month old. He gave me a kiss put his head in the halter I was holding and I knew he was mine. 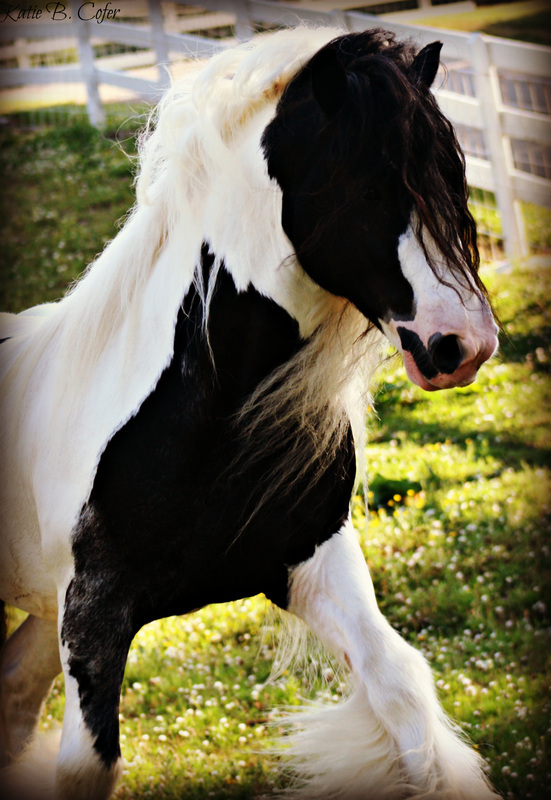 He came to live with us when he was 8 months old. I have raised and trained Friday from ground manners, ground driving and now under saddle. 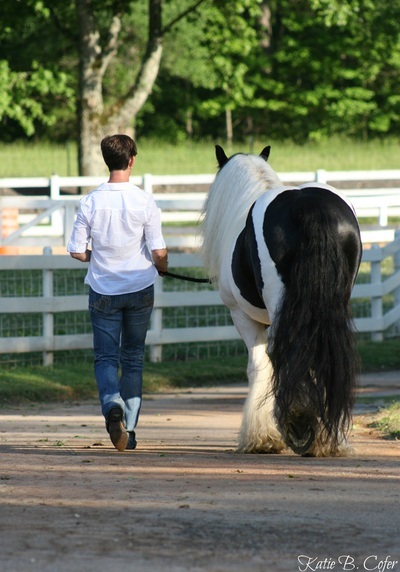 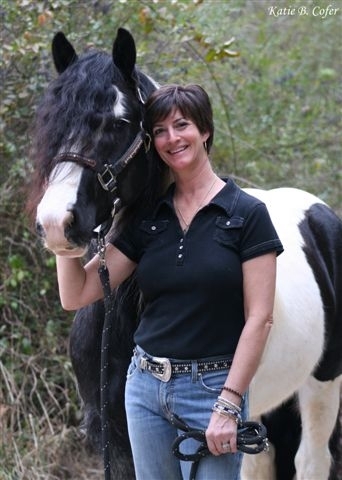 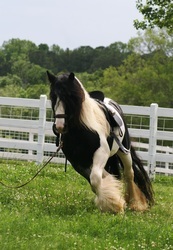 He has been a joy to train, he is a joy to ride and brings a smile to anyone who meets him. 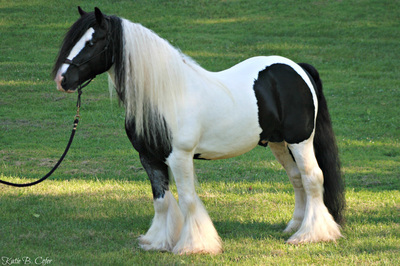 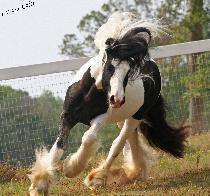 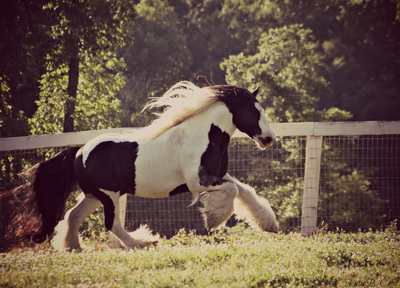 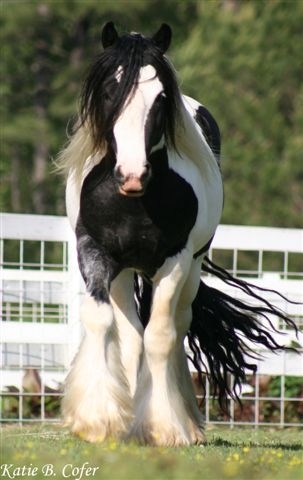 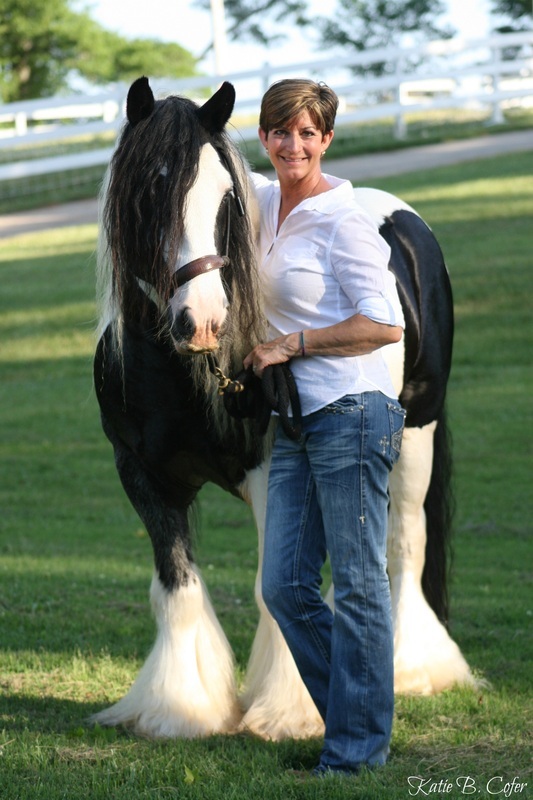 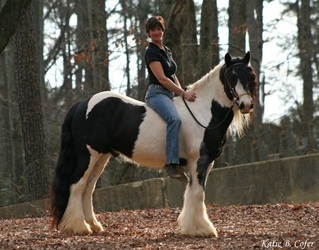 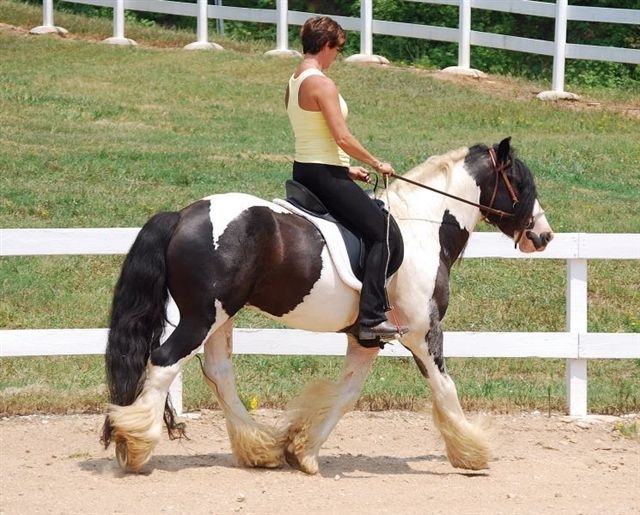 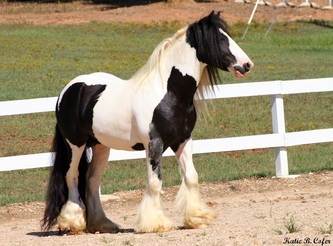 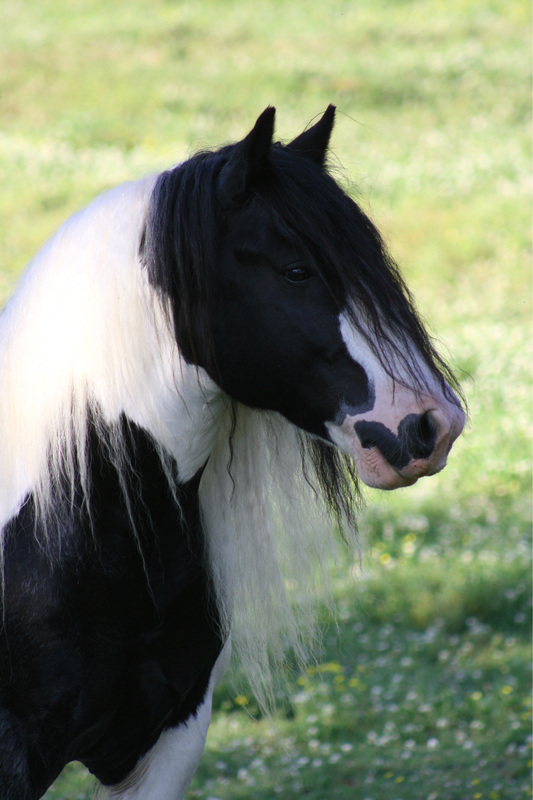 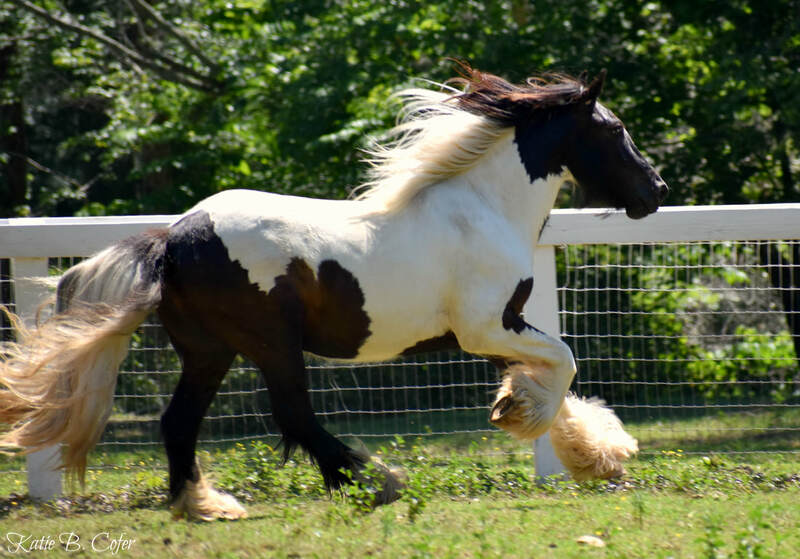 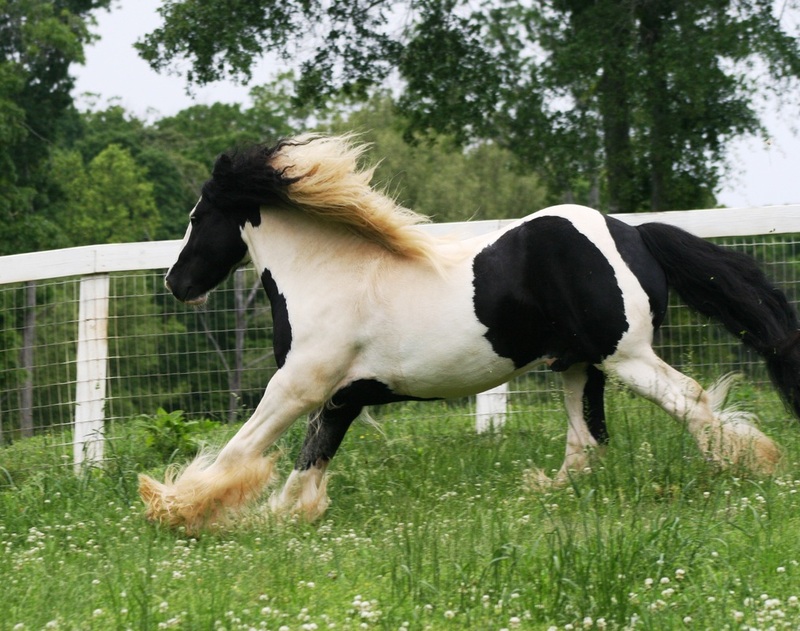 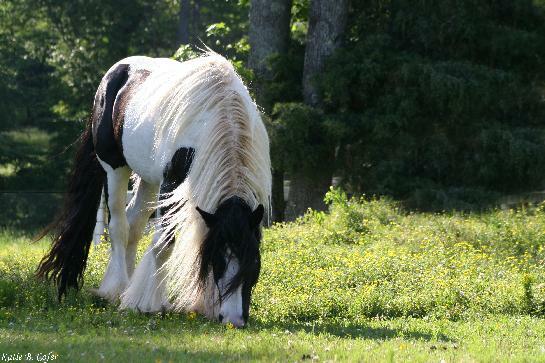 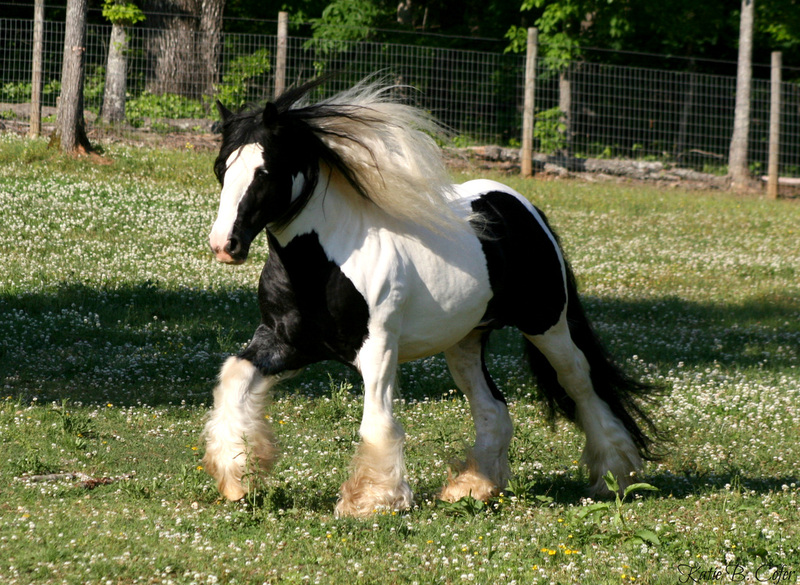 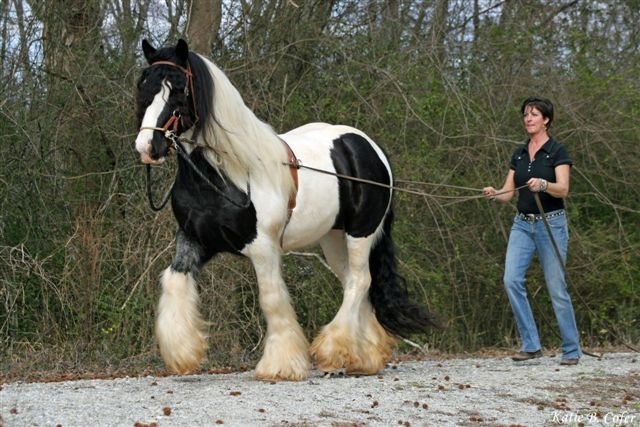 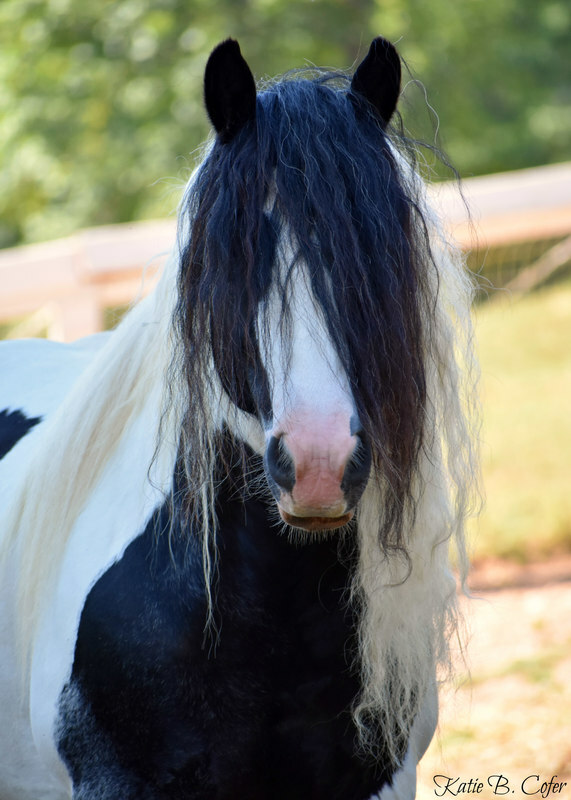 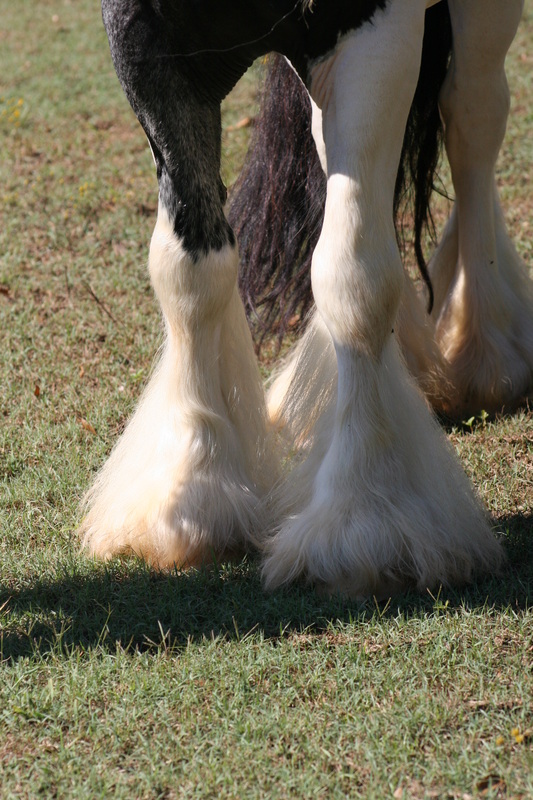 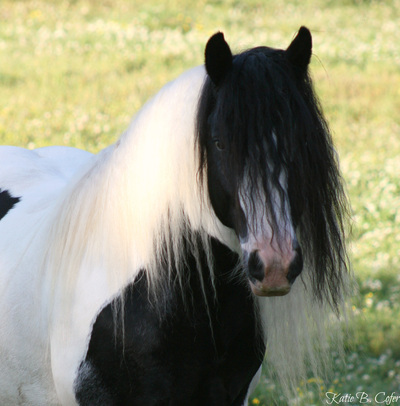 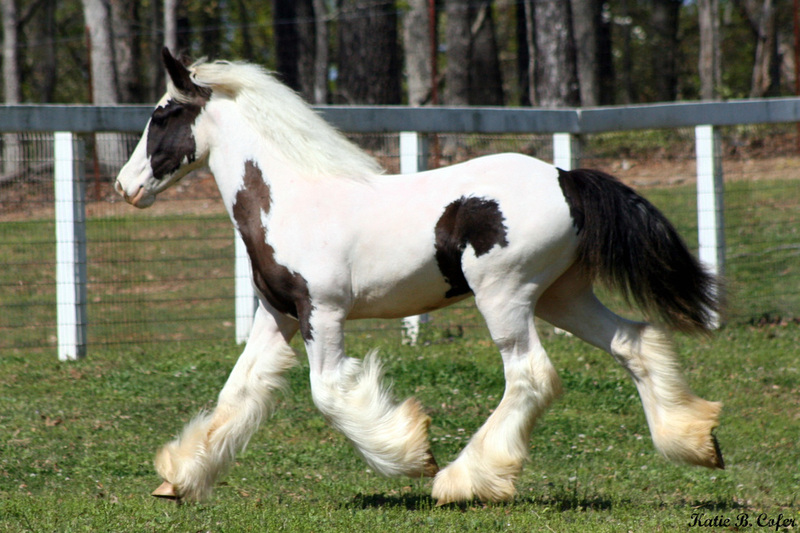 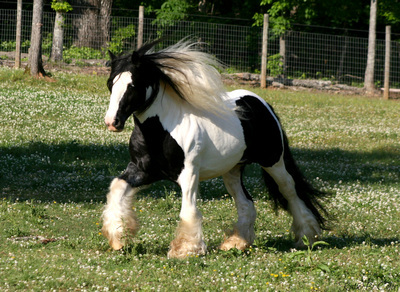 Friday has impecable bloodlines including Cushti Bok, Gypsy King, Ves'Tacha, Esmerelda, Old Horse of Wales. His first foal is on the ground!!!!!! 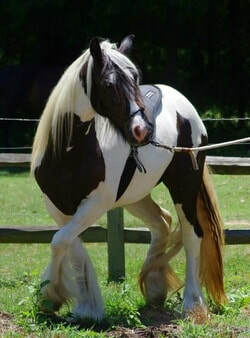 A colt out of Poppy a beautiful mare owned by Robin Visceglia of Stillwater Farm. 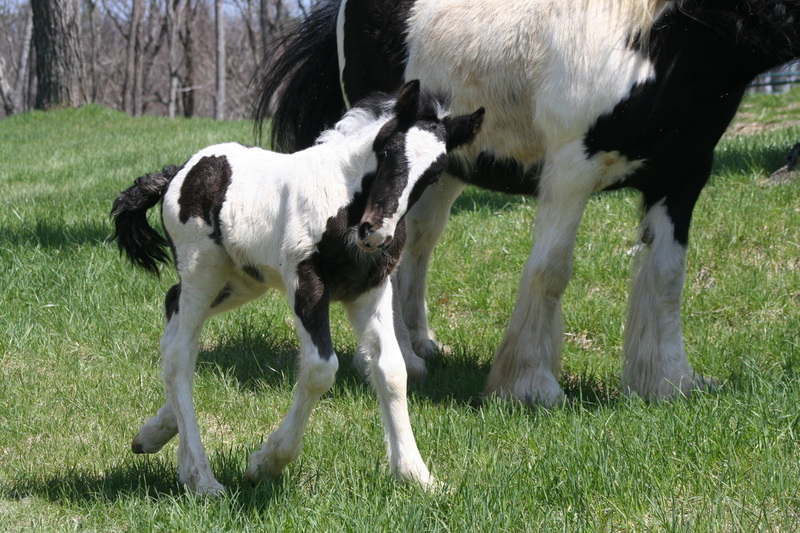 His second foal is a filly, Friday's Crystal Blue Persuassion, born July 13, 2009. Friday has the most wonderful temperment you could ask for in a stallion. 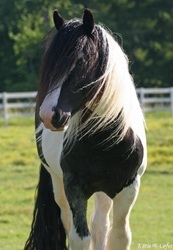 His foals are super sweet and have wonderful confirmation and temperment as well. 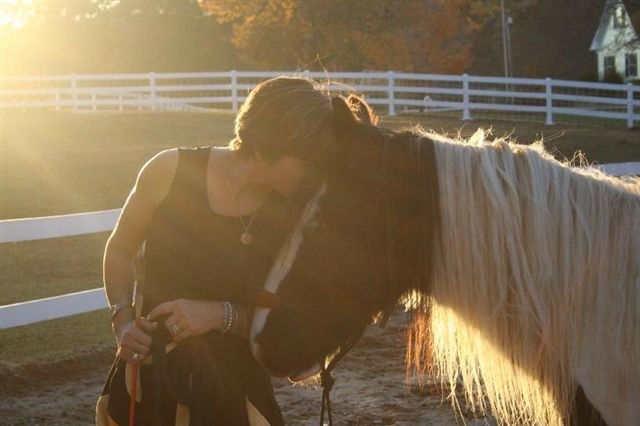 Scooby Doo lived with Friday for the first 10 years of his life. 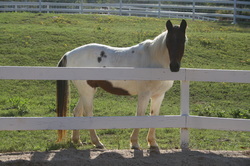 This precious gelding taught Friday so many life lessons. You will be missed by all. We love you.